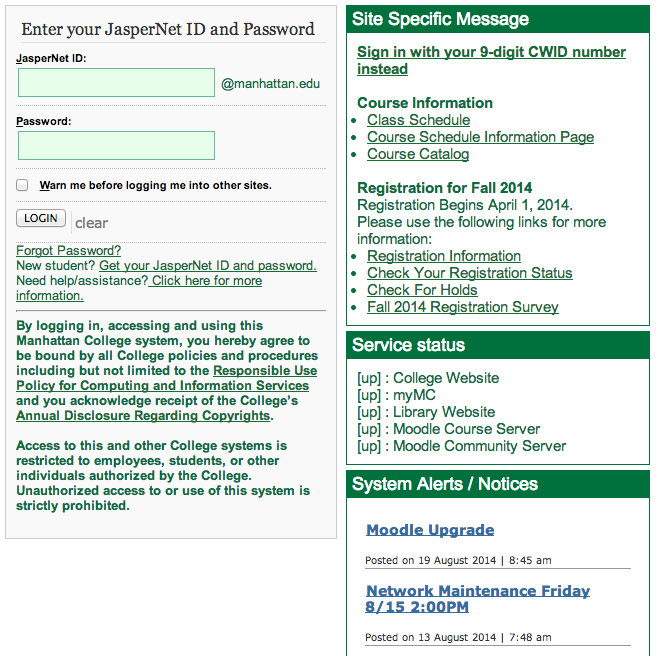 A number of improvements have been made to the login page for JasperNet services to make accessing campus systems easier and more secure. 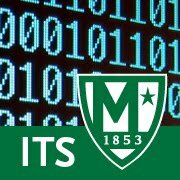 Based on feedback received from the campus community, there is now more information and help resources available on the JasperNet login page including information about the service, where to go for help, and how to retrieve a lost username/password. Retrieve a lost or forgotten password. Each service will have a "Site Specific Message" box with more information about the service and "public" links that can be accessed without authenticating that may have general information about the service. The "Service Status" box now lets users know if there is a problem with JasperNet services. The new "System Alerts/Notices" box lists important notifications to the community such as planned maintenance or upgrades.